We Geo Enviro Solution supply "Citric Acid" in Bulk Quantity. And we are much concentrated on Quality of the product & satisfy our customer needs. Customet Satisfaction is our main goal. The dominant use of citric acid is as a flavoring and preservative in food and beverages, especially soft drinks. Within the European Union it is denoted by E number E330. Citrate salts of various metals are used to deliver those minerals in a biologically available form in many dietary supplements. The buffering properties of citrates are used to control pH in household cleaners and pharmaceuticals. In the United States the purity requirements for citric acid as a food additive are defined by the Food Chemicals Codex, which is published by the United States Pharmacopoeia (USP). Citric acid can be added to ice cream as an emulsifying agent to keep fats from separating, to caramel to prevent sucrose crystallization, or to recipes in place of fresh lemon juice. Citric acid is used with sodium bicarbonate in a wide range of effervescent formulae, both for ingestion (e.g., powders and tablets) and for personal care (e.g., bath salts, bath bombs, and cleaning of grease). Citric acid is also often used in cleaning products and sodas or fizzy drinks.Citric acid sold in a dry powdered form is commonly sold in markets and groceries as "sour salt", due to its physical resemblance to table salt. It has use in culinary applications where an acid is needed for either its chemical properties or for its sour flavor, but a dry ingredient is needed and additional flavors are unwanted (e.g., instead of vinegar or lemon juice). 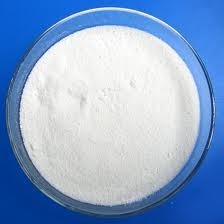 Citric acid is widely used as a pH adjusting agent in creams and gels of all kinds. In this role, it is classified in most jurisdictions as a processing aid and so does not need to be listed on ingredient lists.Citric acid is an alpha hydroxy acid and used as an active ingredient in chemical peels.Citric acid is commonly used as a buffer to increase the solubility of brown . Single-use citric acid sachets have been used as an inducement to get users to exchange their dirty needles for clean needles in an attempt to decrease the spread of AIDS and hepatitis. Other acidifiers used for brown are ascorbic acid, acetic acid, and lactic acid; in their absence, a drug user will often substitute lemon juice or vinegar.Citric acid is used as one of the active ingredients in the production of antiviral tissues. Citric acid can be used as a successful alternative to nitric acid in passivation of stainless steel. 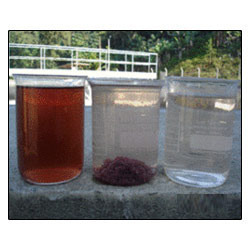 We "Geo Enviro Solution" is a leadin Manufacturer of Defoamer or Antioaming agent. A defoamer or an anti-foaming agent is a chemical additive that reduces and hinders the formation of foam in industrial processliquids. 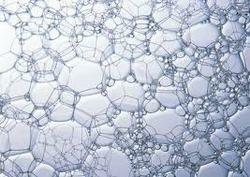 The terms anti-foam agent and defoamer are often used interchangeably. Commonly used agents are insoluble oils, polydimethylsiloxanes and other silicones, certain alcohols, stearates and glycols. The additive is used to prevent formation of foam or is added to break a foam already formed. In industrial processes, foams pose serious problems. They cause defects on surface coatings. They prevent the efficient filling of containers. A variety of chemical formulae are available to prevent formation of foams. Our Range o products are best in quality & economic in price. We "Geo Enviro Solution" is a leading supplier of Bio Culture chemical for ETP & STP. 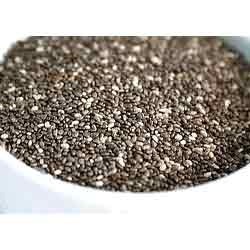 It is a source of phosphorus and potassium. It is also a buffering agent. When used in fertilizer mixtures with urea and ammonium phosphates, it minimizes escape of ammonia by keeping the ph at a relatively low level. Optimum dosage varies with system operating conditions, influent characteristics and load. It is best to prehydrate our product prior to use in non-chlorinated water. We "Geo Enviro Solution" is a manufacturer / Trader for Non Ferric Alum & we are supplying to world wide. 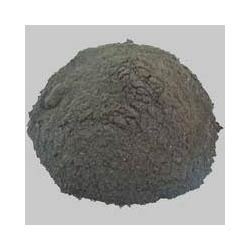 Our Product is best in quality & economic in price.... Specification of our product is mentioned below......We are one of the most reputed firms involved in offering a comprehensive range Non Ferric Alum. It is also used in purification of drinking water in industries. They are soluble in water have an astringent acid, sweetish taste, react acid to litmus. Our product range is procured in compliance with variegated demands and needs of our client base. These are available at a cost effective price in the market. GES 2015 is a water-based jelly from high molecular fatty acids mainly and highly active chemical specially formulated to reduce foam level. It is mainly used for defoaming the process water & effluent plant where foam is copious and uncontrollable. In process water & effluent treatment plant foam may be formed from Organic originated or inorganic originated, product reduces the foam within 2 to 3 minutes. By reducing the surface tension of waste water thereby adherence of bubble on the surface of water is reduced and entrapped air is released to open air or environment. 2 gms. of paste add 20 drops of 40% W/v Potassium hydroxide add 2 ml of Glycerine Mixed well in test tube. Mixture is boiled for five minutes. Cool to room temperature. To above solution add Sodium Chloride saturated solution. Soap will float on the surface. Take 100 ml measuring cylinder with stopper. Add 80 ml of pure water & 5 ml of soap solution or any detergent, shake well foam is produced through cylinder. Take 100 ml measuring cylinder. Add 80 ml of Pure water & 5 ml or 5 gms of soap solution or detergent. Shake well, foam is produced through the cylinder. 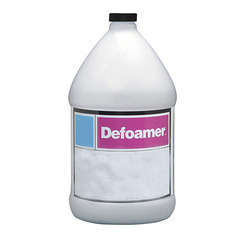 Add 1 gm of Effluo-Defoamer paste or solution to the measuring cylinder. Foam will subside within 15 to 25 seconds. Compare with standard foam. GES 2015 Dosage for Process & ET Plants to subside the foam we recommended 200 gms. per 10000 ltrs. capacity. Our product directly added to the Process tank & Aeration tank dilution with water. If foam concentration is high or elevated dose may be by extra 100 gms., subsequently. Application & dosage can be determined by taking industrial trials. GES 2015 is compatible with almost all products used in process & effluent water treatment program. GES 2015 is available in 35 and 50 kgs. The reduction of water hardness in laundry applications and the dissolution of scale in boilers both rely on EDTA and related complexants to bind Ca2+, Mg2+, as well as other metal ions. Once bound to EDTA, these metal centers tend not to form precipitates or to interfere with the action of the soaps and detergents. For similar reasons, cleaning solutions often contain EDTA. We are one of the most reputed firms involved in manufacturing, supplying and trading best quality Ferrous Sulphate. These are processed using top quality materials and advanced technology by industry experts. It is mainly used in water treatment and agricultural applications and available in various pickings as per the clients’ requirements. 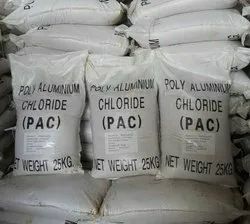 We supply these chemicals to our respected clients at affordable prices. We " Geo Enviro Solution" is a leading manufacturer & Supplier of "Color Removal Chemical" in various industries. We are invention new range of GES DÉCOR - EC Cationic (color removal Chemicals based flocculent), which is a color value removal from waste water generated from various Industries like Textiles Industries, Dyes & Intermediates Industries, Paint Industries, Rubber Industries, Marble Industries. It is high molecular weight polymeric coagulant. The colored effluents, generated by the industries, when left untreated, play havoc with reusable water resources. For process houses, in water scarce areas, it comes as a heaven-sent facilitating recycling of the industrial effluent into process water. The product shall be diluted with 10 times water and then dosed into the waste water directly after being mixed for several minutes. It can be precipitated or air floated to become clear water. The pH value of the waste water should be adjusted to 7-10 by for better results. When the color and COD are relatively high, it can be used with the help of PAC but do not mixed together. In this way, treatment process of the waste water directly. 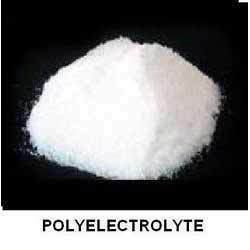 After the process, it can be added 1-2 ppm settling agent anionic polyelectrolyte (Jelly Form or Powder form) it would be settled particles of waste water quickly. After the process, COD of waste water is reduced by 50-60% and color value 90% removed from Effluent water at the primary stage. Preparation of solution - Stock solution of polyelectrolyte may expediently be prepared at a concentration of 0.1% and ideally diluted to 1% while dosing. 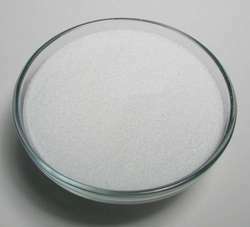 It is freely soluble in water and mild agitations enough for a uniform solution in a short time. Dosage - Trial can be decided at the time of plant scale. Lab Scale trail is adequate. 2. You can apply it alone or in conjunction with other polymers and metal sulphates. 3. Non corrosive of suggested dosage, economical and effective at low level. We "Geo Enviro Solution" is a leading supplier of Organic Micro Nutrients for Effluent Treatment Plant & Sewage Treatment Plant. Organic MicroNutrients are designed to be used as a foliar spray to prevent or correct micronutrient deficiencies in plants as indicated by visual inspection of leaf or fruit, leaf analysis or soil testing. The most common indicator of micronutrient deficiency is yellowing leaves. Optimum dosage varies with system operating conditions, influent characteristics and load. However the general dosage is 5.0-20 ppm on the quantity of effluent treated per day. Packaging Details: GES EMN-2900 is supplied in 25 kgs non-returnable carboys. Generally company will take a week's time for the dispatch of the material on receipt of firm order from the customer. For further details contact GEO ENVIRO SOLUTIONS Marketing Department. High molecular weight flocculants are capable of promoting flocculation by neutralizing the superficial electric charges of sludge particles in the water and un-stabilizing each individual particles. The particles then are absorbed by the activated functional group in the flocculent polymer. Recommended dosage is 0.2 - 0.5% depending on usage conditions and level of turbidity. 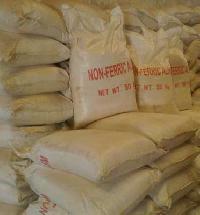 We supply high quality Hydrated Lime Powder that is fine free flowing powder. 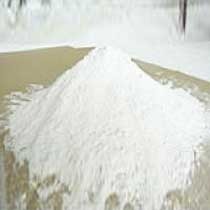 We make available the Hydrated Lime Powder in various specifications. The Hydrated Lime Powder distributed by us is pure and free from any unwanted ingredients. 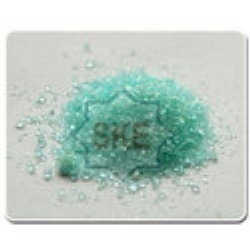 It is extensively used in various industrial and chemical applications. It is a colorless crystal or white powder, and is obtained when calcium oxide is mixed, or "slaked" with water. It can also be precipitated by mixing an aqueous solution of calcium chloride and an aqueous solution of sodium hydroxide. In Native American and Mesoamerican cooking, calcium hydroxide is called "cal". Corn cooked with cal becomes nixtamal which significantly increases its nutrition value, and is also considered tastier and easier to digest. In dentistry, it is used as dressing in paste form used for anti-microbial effect during a dental root canal procedure. Looking for Efluent Treatment Plant Chemicals ?